I realize I didn't write about this at all during the process. And that's okay. It's just different. I was going in many directions in April, with new projects and new contacts and some exciting things in the works. Vague, I know. But some of what I've been working on is available in Facebook: some exciting theatrical/performance/cultural events. I was also taking a short story writing online class/workshop with Ariel Gore. And I am in the final stages of a month-long interpreting psychopharmacology workshop online through CATIE, On top of my regular interpreting and theatre and life. But this April I decided - pretty much last minute - to jump into the Camp NaNoWriMo lake. 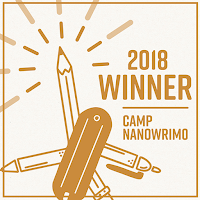 I just wrapped up another session of the three-month manuscript workshop (online) with Ariel and transitioned from that via an in-person Spring Seasonal f2f workshop with Lidia Yuknavitch and Domi Shoemaker immediately into the short story workshop and the CATIE workshop. I'm grateful and glad I did it - even though I cursed at it more than once and even though I had some flat spells. 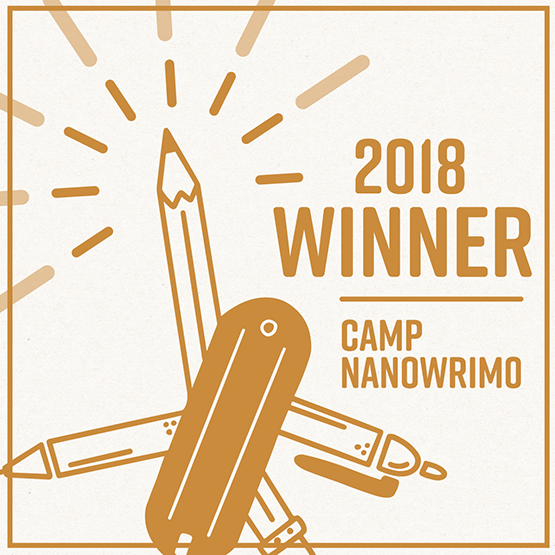 Oh - I forgot to say that one big difference between November NaNoWriMo and Camp NaNoWriMo is that at Camp, you set your own goal. It can be a word count or page count or poem stanzas or - my choice - pages edited. I definitely edited more than I probably would have without going to Camp. It kept it on my radar and it kept me accountable to do some. So - my number of pages goal for editing my manuscript was met! I am about 1/4 of the way through the hard copy edits of the current draft. For me, this is a necessary and very time-consuming process. Thank you, NaNoWriMo, for another successful month of accountability as a writer. And thank you to my in-person accountability writing buddy who nudged me towards doing this and who kept prodding (asking) how it was going, as well as spending some hours writing together. Now. To Bed. It is Very Late (or very early, depending on your perspective).